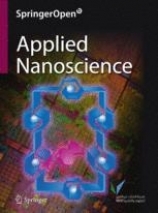 Applied Nanoscience is produced through a partnership between Springer and the King Abdulaziz City for Science and Technology, a scientific organization that funds research in key applied technologies throughout the world. Begun in 2011, the journal is in its third volume and contains 192 articles at this writing. Original research articles, review articles, and book reviews are purportedly accepted for publication, but this reviewer found no book reviews among the entire three volumes viewed online (this review is based on the open access, online version). Content here ranges from the synthesis and characterization of nanomaterials to modeling and nanostructure computations. Other issues examined by the journal include alternate energy sources and storage; enhanced oil and gas recovery, productivity, and drilling; biotechnology; nano-devices; and nano-electro mechanical systems. The Springer search platform allows for immediate identification of the ‘most downloaded’ article over a 7-, 30-, and 90-day timeframe. The current most downloaded title is “Photocatalytic degradation of Chromium (VI) from wastewater using nanomaterials like TiO2, ZnO, and CdS” by Joshi, K. M. and Shrivastava, V. S.
An important title for those studying nanoscience and nanotechnologies.